Legionella is a harmful bacterium and as a result, must be controlled and prevented in accordance with ACOP L8 requirements and HSE’s HSG274 Part 2 regulations. Legionella is a harmful bacterium and as a result, must be controlled and prevented in accordance with ACOP L8 requirements and HSE’s HSG274 Part 2 regulations. Here at The JC Group, we are able to offer a full range of services and training courses to aid you in your compliance to these regulations. 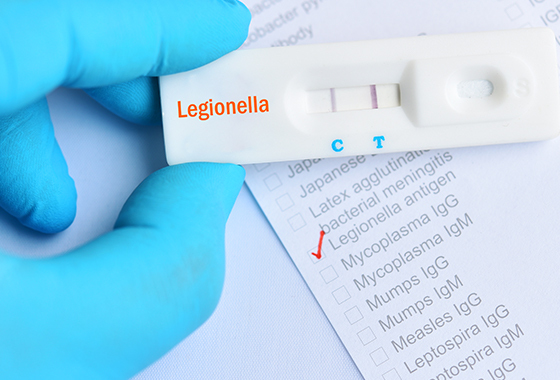 Identifying and assessing risks may be an ideal place to start, but ongoing Legionella control is the key to preventing an outbreak of legionnaire’s disease, protecting your staff and customers at all times. All of those responsible for the management of water systems must ensure that all sources of risk are fully identified and assessed, that a scheme has been put into place for prevention and all records and activity is well managed and monitored for a minimum of 5 years to ensure full compliance. Through thorough cleaning, turnover, temperature monitoring, ongoing maintenance, and the removal of infrequently used outlets, Legionella can be effectively prevented and controlled. JC Water Services engineers are trained to the highest standards and qualified to BOHS standards meaning that our staff are fully competent in assessing your water systems and best placed to notify you of any issues which require addressing. The JC Group are members of the LCA (Legionella Control Association) and therefore have undergone a range of assessments and external audits to ensure that everything we do is done to the highest of standards and in line with the latest legislation. What Does Legionella Control Entail? At JC Water Services, our team have the expertise to audit your water systems and to assess your overall risk. Through a specialist risk assessment and water sampling where required, we can determine the risk to your water services. We can also supply and train your staff in house to monitor and deal with the relevant risks outlined within the risk assessment. Schematics are also an important part of any risk assessment and so out highly trained assessors are also able to supply you with drawings as part of your risk assessment and log book controls. This log book should be kept on site for a minimum of 5 years and can be used to keep an accurate record of all water tests, inspections and for the training records for staff. At the JC Group, we also offer various legionella training courses via our training academy. We work alongside BOHS to offer Legionella P901 – “Management and Control of Building Hot and Cold Water Services”. This is a 1 day training course with an exam at the end of the day. We also offer a more basic Legionella awareness online training course. More information and pricing for both of these can be found through the training section of our website. Monitoring and sampling of Legionella is an important part of Legionella prevention. Here at JC Water Services, we are proud to be able to offer this as one of our core Legionella services. JC Water Services can provide you with all of the information you require to keep your business compliant.